Posted on Wednesday, April 10th, 2019 in Custom Design. Custom jewelry refers to any jewelry piece that was specially created for one person. The custom design process allows you to create your very own piece of jewelry that is entirely based on your exact specifications and desires. There are a few reasons why individuals choose the custom route when looking to purchase jewelry. The first is that they have unique taste and have trouble finding jewelry pieces that appeal to their personal style. The second reason is that they want to incorporate gemstones from outdated jewelry into something a little more contemporary. Finally, they just want jewelry that is unique and isn’t already worn by everyone they know. So how does the custom jewelry design process work? Well first, you should visit a reputable local jewelry store that specializes in custom designed jewelry, like Kloiber Jewelers. Then we’ll sit down with you and have a chat to get a better sense of what kind of jewelry you’re looking for. And if you’re not exactly sure what you want, don’t worry. We’ll show you a variety of different styles to get a better idea of what you do and don’t like. After we’ve determined what style you love the most, we’ll provide you with an estimate for how much it will cost to make that particular jewelry piece. Once you give us the go ahead, we’ll create a CAD (computer aided design) so you can see first hand what the ring/pendant/bracelet/etc. will look like when it is all finished. 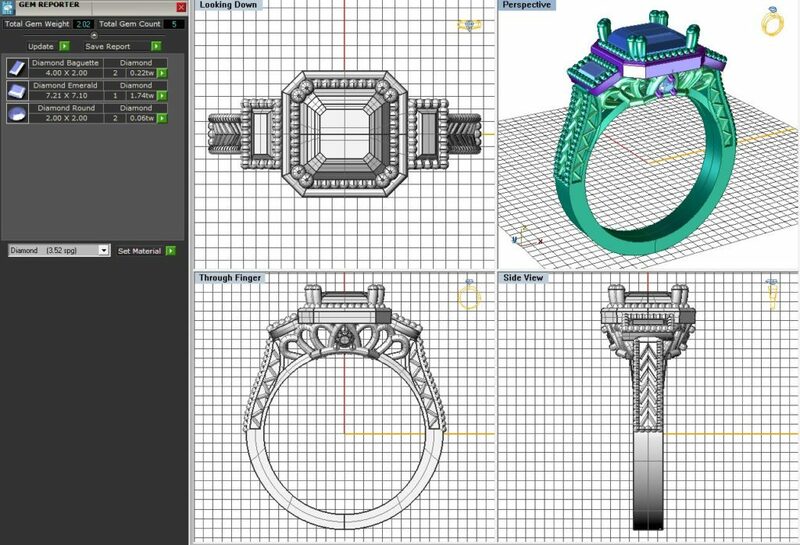 If needed, we can make any changes to the CAD, and when it’s approved, we’ll begin making a wax model of the jewelry piece so you’ll be able to see an accurately scaled representation of what the design will look like in person. If you plan on incorporating colored gemstones or diamonds in your custom jewelry piece, we’ll order several loose gemstones that are within your budget and quality specifications for you to look at in person and compare. After you select your favorite gem, we’ll have it placed in the new setting and you’ll be wearing your very own custom jewelry piece within no time. 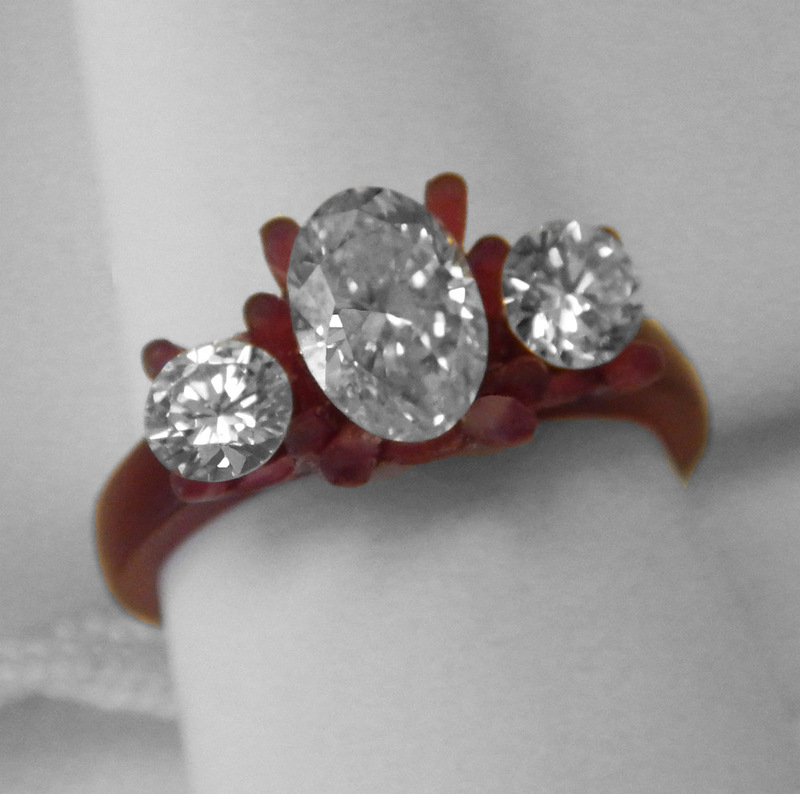 Want to learn more about the custom jewelry design process at Kloiber Jewelers? Click here to see our list of some of the most commonly asked questions regarding custom jewelry design.